In this article, a former high school educator (and current Millennial) shares five ways to attract Millennials to your company, and the benefits their employment can bring to your business. Since they have been old enough to join the workforce, Millennials have received a bad rap. They’ve been labeled as lazy, entitled and impatient, with many viewing them as wanting the world without lifting a finger. They’ve been pigeonholed as being addicted to social media, having unreal career expectations, and even thinking a proper breakfast is nothing more than sliced avocado on a piece of toast. 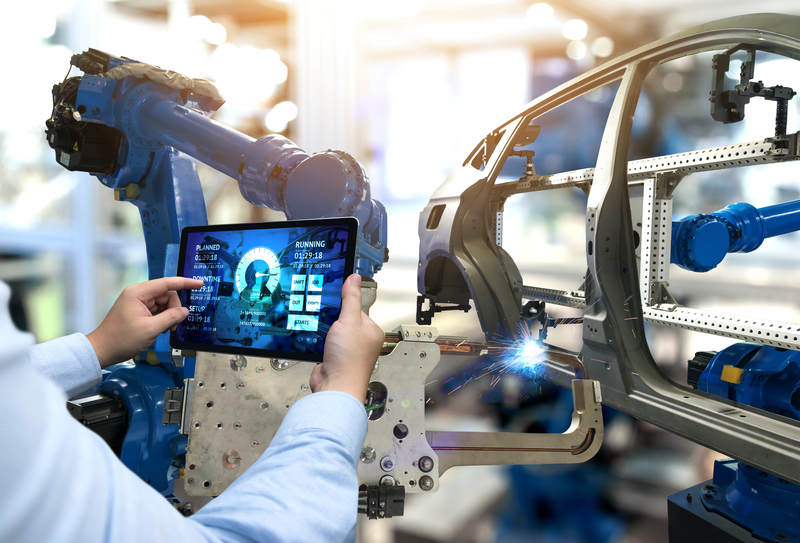 But no matter your opinion on younger generations, one fact is staring the manufacturing sector square in the face – by 2025, Millennials are expected to make up 75-percent of the US workforce. With that in mind, attracting new, vibrant energy into your company is more vital than ever. However don’t expect to bring in top-tier talent by doing what you’ve been doing for decades – Millennials are, after all, different than the Baby Boomers, or even Generation X. Should you abandon all of your core values for the sake of satisfying a couple of new employees? Of course not, but understanding this new wave of employees’ wants and needs – and especially their way of thinking — is almost as important as what you’d expect from them professionally. Here are five tips to help you better understand, and attract, Millennials to your manufacturing company. Perhaps the biggest pushback against Millennials is the perception that they’re only in a certain career field for a big paycheck. While that might be true of some, a majority of Millennials are passionate, forward-thinking individuals that actually want to work toward something they believe in. Chalk it up to the increase in superhero movies, or the fact they’re going to be on the planet longer than most, but many Millennials are looking for a satisfying career that is about more than just money – they want to be an asset to the world. So before you bring in a Millennial for an interview, try to envision your company from their point of view. What can you highlight that makes them believe this is more than just a 9-5 task? How will their work lead to a brighter future for all? If you want to attract a Millennial, you must be able to answer those questions, and more. If you’re looking for food, the best place to start your search is probably a grocery or restaurant. If you want a new haircut, a barber or salon is probably at the top of your list. So if you’re looking to attract Millennials to your manufacturing company, what better place to begin your search than at a local community college? This can be achieved by establishing a relationship with local community colleges. As we advance further into this Age of Technology, it is important to remember that Millennials have had more access to information than any previous generation prior. Because of this exposure to data, students are beginning to develop more of an understanding about postsecondary education than ever before, and two things are very clear to them. First, people with four-year degrees are being buried under a mountain of debt – an average of $30,100 per borrower nationwide – and are struggling to find jobs to help pay it off. Second, thanks to a skills gap, modern manufacturing is desperate for individuals that have the skill sets provided by more cost-effective, two-year degree and certificate programs. With this information readily available, Millennials are transitioning away from the traditional educational choices of their parents, and electing to enter the workforce sooner with less debt. By having an established, professional relationship with community colleges around your area, your chances to lock down young, energetic talent should increase tenfold. 3. Don’t ban the technology they love so much – embrace it! WARNING: When used regularly, technology can become addicting. In fact, if there was a picture of a Millennial in the dictionary, chances are they would be head down, gazing aimlessly into a smart phone or tablet. And it’s extremely likely they’d be accessing one of their countless social media accounts. After all, the average person, regardless of age, spends five years, four months of their life on social media. So how can a manufacturing company embrace this new wave of technology, especially when 1-in-3 Millennials prioritize social media freedom over pay? For workers directly on the floor, opportunities to use technology on the clock are slim-to-none. Above all else, employee safety is the main concern; so even glancing briefly to check a text message could turn a typical shift into a potential disaster. So rules should be in place and followed daily — but those rules don’t have to mimic a prison. If employees are working on a line, consider allowing them to stream their favorite podcast or music album while working. If they’re constructing a unique project, allow a brief moment to photograph the work that they’re proud of, which they can eventually post, with company approval, on their social media for friends and family. Ease into the changes, remembering that safety and production will always top the list of most important aspects at work. But also keep in mind that free, unsolicited advertisement on social media by satisfied employees to the general public is never a bad thing, especially when so many outsiders are unfamiliar with the inner workings of the manufacturing industry. So invite limited technology in the workplace, especially during breaks, or at lunch. Allow workers, chiefly Millennials, to use the communication tool they’ve had for their lifetime, as long as safety is first, and they abide by the ground rules you have laid out. Years ago, a professor recalled his thoughts on the unknown, and the most uneasy moments many people experience in their life: the beginning of high school, the beginning of college and the beginning of a career. All of these times, he argued, would fill a normal person with so much fear and anxiety about the unknown that the student-turned-employee would need to work twice as hard to be successful. Millennials fear what they’ve never experienced. So even if the interview process showed promise, a new employee may struggle so much early on that they reconsider their decision. That’s why it’s vital to offer development and training programs to entice employees to your company. Find them a mentorship, or a sponsor that can simply be a listening ear. Whatever you decide, most Millennials will recognize (and appreciate) when you invest in their future. If Millennials have mastered one area better than their predecessors, it’s balance. With the evolving educational process of secondary institutions, graduates are becoming well-versed in a variety of areas rather than focusing on a specialty. Millennials don’t want to utilize one aspect of their talent when they can showcase an array of different skills. But balance is important for Millennials outside of work, too, especially when managing their professional and personal life. Newer generations value their personal time, and will consider flexible jobs over other more traditional roles. While flexibility in Manufacturing can be tricky, the advancement of Smart Technology has allowed certain tasks to be monitored remotely. Perhaps switching to a four-day work week could benefit your company, creating longer days, but allowing employees to enjoy three-day weekends. For Millennials, though, a balance of work and play is equally vital, so think of opportunistic tactics to strengthen your team, or company, away from the building. Consider a social gathering once a month, where employees can bring a significant other, or friend, to enjoy some personal time away from the confines of a manufacturing plant. Not only will it bring your team closer together, but it will remind employees that “work” can have some “play” mixed in, too. Sometimes, it’s the little things that Millennials seek out to feel valued at a company. Helping your Millennial find a perfect work balance can jump-start them into becoming the ideal employee for years to come.